San Jose, CA – June 20, 2018 – Local Silicon Valley manufacturers are reaping significant benefits in product quality, lower costs, reduced tariffs and supply chain efficiency through strategic application of local Foreign Trade Zone (FTZ) operations in their manufacturing processes. Those were among the findings of a recent study published by The Reshoring Institute, a Silicon Valley-based non-profit organization providing research and support for companies bringing manufacturing back to America. “Use of a Foreign Trade Zone involves how imported goods, such as parts or sub-assemblies, are brought into the U.S., staged and sequenced for manufacturing. The goal is to strategically time final assembly of goods to coincide with peak demand or until the market is ready for the goods,” said Rosemary Coates, Executive Director of The Reshoring Institute. “It’s a strategic supply chain strategy where companies, using an FTZ, can reduce, defer or in some cases eliminate import duties and taxes,” payment of which typically are triggered when material leaves the FTZ and enters U.S. commerce. The study, which can be downloaded here, examined the FTZ operations of Fremont, Calif.-based RK Logistics Group, which operates Northern California’s only general purpose FTZ, and acts as a third-party logistics provider for several Silicon Valley manufacturers. 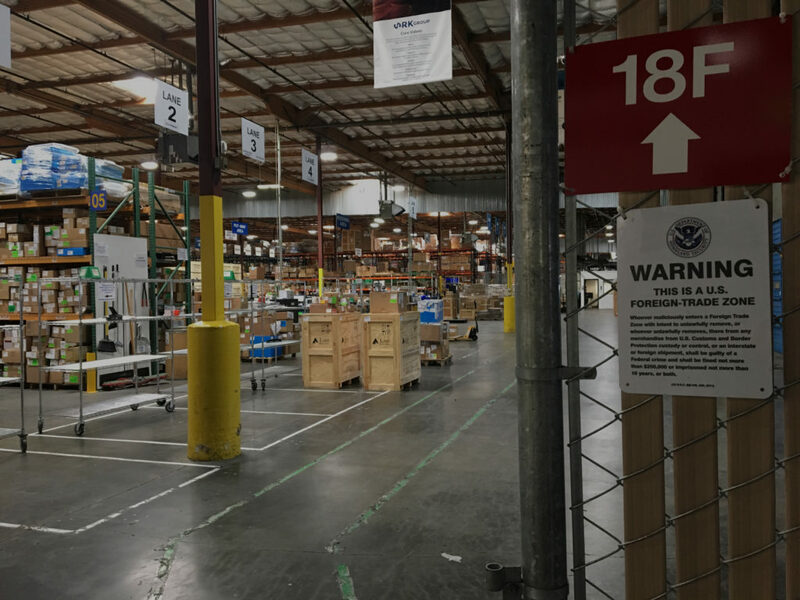 RK has operated its FTZ in Fremont since 2016 and maintains 14 warehousing locations in the greater San Francisco Bay Area. “RK is a great example of an FTZ which can support multiple clients in multiple industries,” noted Coates, adding that any business which imports parts and then assembles them into a finished product for sale in the U.S., or for export, can benefit from an FTZ. A privately-held minority business enterprise, Fremont-based RK Logistics Group is a growing local company with over 700 employees. The company’s network of 14 warehousing centers in the greater San Francisco Bay Area represents nearly 1 million square feet of commercial distribution space for inventory management, manufacturing support and ecommerce fulfillment. About the Reshoring Institute: The Reshoring Institute, a 501c3 non-profit organization, offers free, downloadable research from its website, created and curated by graduate student interns from Santa Clara University, University of Southern California, University of San Diego, Rutgers University and St. Louis University. We also offer personalized consulting assistance at reasonable fees. The Institute’s mission is to provide research and support for companies bringing manufacturing and services back to America and to educate student interns about the business of manufacturing. For more information, contact Rosemary Coates, Executive Director, at rcoates@ReshoringInstitute.org or +1 408.605.8867.